Pisko & Soul i Cusco, Peru: Bestill nå! 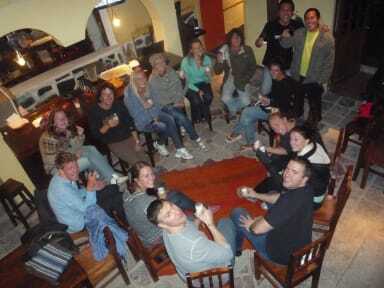 It is the friendliest place in Cusco, just for positive and friendly people....we provide all the information, support and fun needed to make your stay unforgettable ... Located in San Blas the best and most traditional neighborhood of Cusco only three blocks from the Main Square known as a bohemian area. Surrounded by good restaurants, cafes and bars with live music ... Our hostel is not a traditional hostel is much more because it combines the comfort of a nice hostel with the atmosphere of a backpacker's hostel with common areas, games, activities, etc. . In Pisko and Soul we don't have guests, WE HAVE FRIENDS, Come and Join us!! !